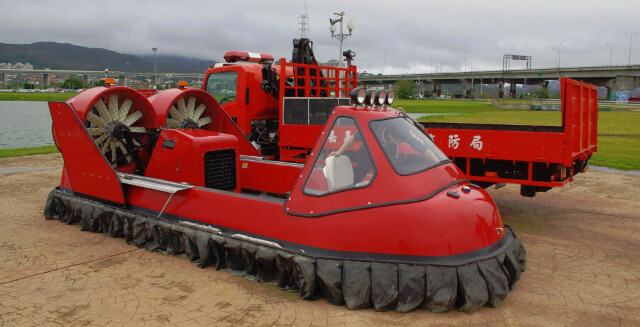 Hovertechnics’ wide range of rescue, utility, commercial and recreational hovercraft are in use by more than 1,000 customers throughout the world. 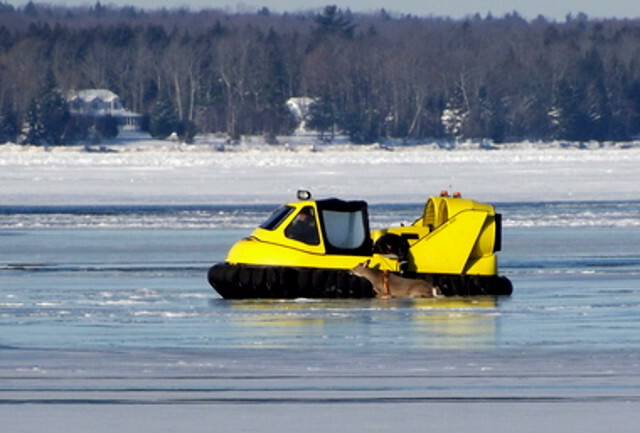 Thanks to their Hovertechnics rescue hovercraft, the Alger County Sheriff’s Department was able to save the lives of a doe and her fawn that had fallen through – and were stranded on - the thin ice on Lake Superior in Munising, Michigan. The Alger County Sheriff’s Hovertechnics hovercraft easily crossed broken, thin ice to hover right up to the deer. Photo by Missy Mannisto. 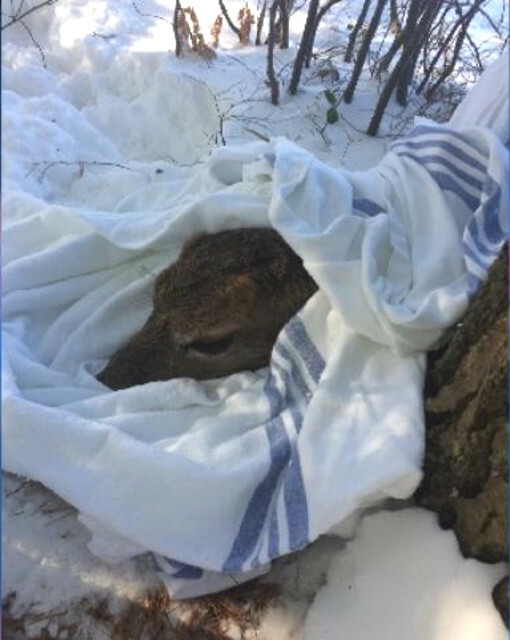 After getting the deer back to shore, heating packs were used to warm the deer. Blank said the fawn wasn’t doing as well as the doe at first, but they both were soon able to retreat back into the woods. 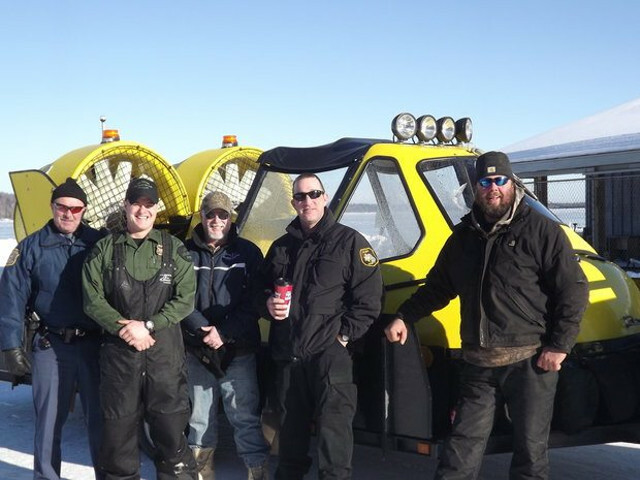 On the same weekend as the deer rescue, Alger County’s hovercraft was used a second time to transport workers out to Grand Island to repair a utility line that had fallen on a trail.